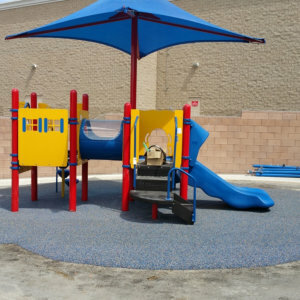 As the Premier Playground Surface Installation Company in Las Vegas NV, Play Surface Coatings offers EPDM Aromatic – the most economical choice for Poured in Place Surfacing. This poured in place surfacing is perfect for playgrounds and provides a seamless, colorful, soft and accessible play surface. We offer a wide selection of colors and can incorporate patterns and designs as well. Play Surface Coatings EPDM Aromatic surface is made up of 2 layers. Each layer is mixed and applied on-site at various thicknesses to meet Critical Fall Heights of the play equipment that the surface surrounds. The first layer is made up of an SBR cushion layer. The second layer is the wear course; this is typically applied at 3/8 to ½ inch (depending on your specifications). Keep in mind aromatic binders do amber initially but will burn off and fade after exposure to UV rays. Using darker colors such as blue, green, yellow, black or red helps hide the ambering of the surface. In addition, mixing of colors is always available to help tie in the colors of the equipment or surrounding features. EPDM – Aromatic is engineered to meet all ASTM standards (American Society for Testing and Materials) and CPSC (Consumer Product Safety Commission) guidelines. Cleaning can be performed using a leaf blower. A mild detergent can also be used to remove spills and stains. *Aromatic Binders will amber after initial installation and its exposure to UV rays. This is a normal process and will burn off after a few months, depending on the amount of exposure to the sun. Using darker colors will help decrease the visual effects of this process. 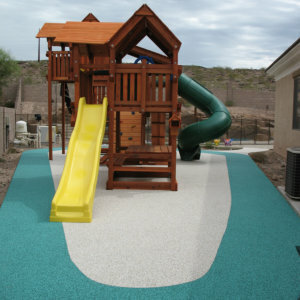 Play Surface Coatings EPDM Aliphatic is the upgraded choice for EPDM Poured in Place Surfacing. This poured in place surfacing is perfect for playgrounds and provides a seamless, colorful, soft and accessible play surface. We offer a wide selection of colors and can incorporate patterns and designs as well. Plus, with the use of an aliphatic binder, the vivid colors that are installed stay true without the ambering effects of aromatic binders. EPDM colors will fade over time due to their chemical makeup. Play Surface Coatings EPDM Aliphatic surface is made up of 2 layers. Each layer is mixed and applied on-site at various thicknesses to meet Critical Fall Heights of the play equipment the surface surrounds. The first layer is made up of an SBR cushion layer. The second layer is the topcoat; this is applied at 3/8 to ½ inch (depending on your specifications) and is known as the wear course. The aliphatic binder helps protect the surface from the harmful effects of UV light and allows for greater visual appeal and helps keep the colors brighter longer. In addition, mixing of colors is always available to help tie in the colors of the equipment or surrounding features. 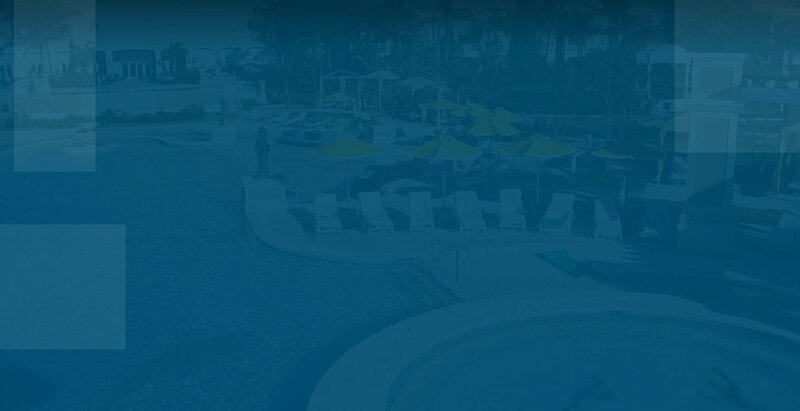 EPDM – Aliphatic is engineered to meet all ASTM standards (American Society for Testing and Materials) and CPSC (Consumer Product Safety Commission) guidelines. Cleaning can be performed using a leaf blower. A mild detergent can also be used to remove spills and stains. Looking for cost saving options for your EPDM surface? Use 50% Black EPDM to the colored mix as solid colors alone are more expensive. Use 3/8 inch Top Coat – Using 3/8 th instead of ½ will help lower the costs but this option is not recommended for heavy use play surface areas. For more information about our services, please call us at 702-433-1362.